A charitable remainder trust is one of the best ways to secure a lifetime income, save on taxes, and benefit a charity. Also called a CRT, it is a financial tool that allows you to donate assets to your favorite charity while still drawing income during your lifetime. You can deposit assets, such as real estate, cash, stocks, bonds, and other securities, into an irrevocable trust. When you die, the deposited assets pass to the charity of your choice, providing flexibility in estate planning and preparing for retirement. CRTs are a popular way for wealthy people to save on taxes and make charitable contributions while still receiving income from their investments. Irrevocable Trust—Nothing can be changed once the trust is created. Assets deposited in the trust cannot be withdrawn. Beneficiaries and terms of distributions cannot be changed later. Charitable Deduction—When you make a contribution to charity, you can deduct the value of your contribution on your taxes. Grantor—Person who deposits assets in a trust; usually the person who creates and administers the trust (“Trustee”). Charitable Beneficiary—Charity chosen by the trust creator to receive the remaining assets once the primary beneficiaries die. Noncharitable Beneficiary—Person or persons who receive income from the trust; usually the same person as the Grantor. Charitable Remainder—Portion of the original asset value or “principal” that passes to the chosen charity. Typically, at least 10% of the value of the original asset must go to the charity for the CRT to be valid. A trust is created for a specified term of years (up to 20), the lifetime of the noncharitable beneficiary, or the lifetime of the noncharitable beneficiary and their spouse. 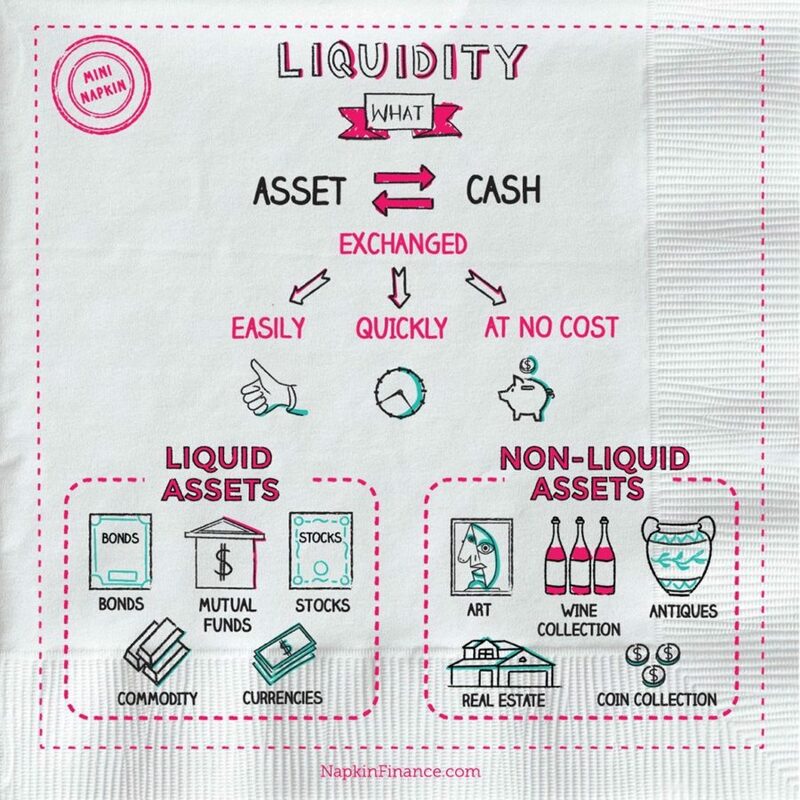 Assets are sold by the trust, and proceeds are reinvested in a portfolio of income-producing securities (e.g., mutual funds, stocks, bonds). Assets that already produce income, such as rental real estate, may be held as is in certain types of CRT. Noncharitable beneficiary receives income from the trust each year either as a set dollar amount or a percentage of trust value. When the last noncharitable beneficiary dies or the trust term expires, the remaining trust assets pass to a chosen charity. A charitable lead trust, or CLT, is like a CRT in reverse. Rather than drawing income from the trust in life and then leaving the asset to charity after death (or when the trust term expires), a CLT allows the charity to “lead off” by drawing income from the trust for a set amount of time. When the trust term expires, the remaining trust assets pass to the noncharitable beneficiaries. Type of Payment Beneficiary receives a certain percentage of the trust’s total value each year. Beneficiary receives a set dollar amount each year. Effect of Performance Investments are revalued every year, and annual distributions are based on that valuation. Changing value of investments does not affect distributions. Primary Benefit Possibility for larger payments in later years as earnings compound over time. Protects against inflation. Consistent, reliable income regardless of investment performance. 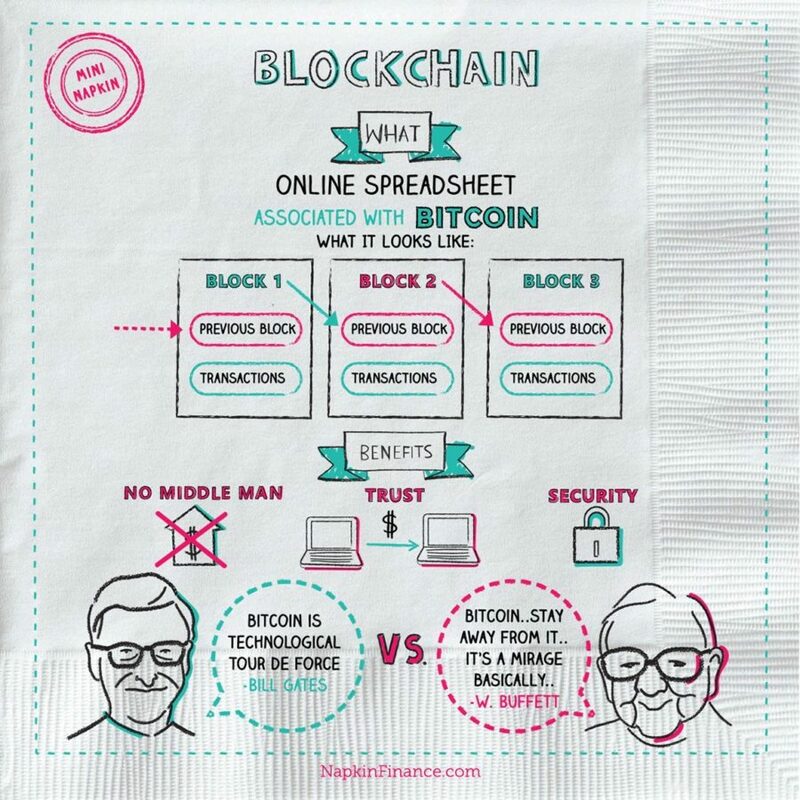 Allows for simpler retirement planning based on a set amount of income. Primary Risk Possibility for income to decrease if investments do poorly. May make retirement planning difficult due to volatility. Possibility of eating through trust principal if investments do poorly. Potential for CRT to be void if principal is depleted. Any amount you donate to charity is tax deductible and can help reduce your income tax bill. If the value of your donation exceeds your taxable income for the current year, you can carry forward the remaining value for up to five years. When you deposit assets into a CRT, you can claim a tax deduction equal to a percentage of the asset’s value. The size of the deduction depends on how much income you plan to draw from the trust each year and for how long. You can claim the charitable deduction in the year you deposit property into the trust (and up to five years after). You don’t have to wait until the asset passes to the charity. A CRT doesn’t pay taxes on the sale of real estate or other capital gains (profit from investments) because it is a charitable entity. Instead of selling real estate that has increased in value on the open market, you could deposit it into a CRT. The CRT could then sell the property, and neither party would pay taxes on the gain. The CRT would invest the proceeds in income-generating securities, and you could draw income each year, allowing you to benefit from the sale of the property without paying the large tax bill. Once an irrevocable trust is signed, you cannot make any other changes. It’s important to consult a trusted financial planner or investment advisor to ensure you are well informed of the terms of a CRT before you sign anything. Be sure the professional you consult is a fiduciary to ensure they are legally bound to keep your best financial interests at heart. Since there is a minimum annual payment equal to 5% of trust assets principal value, CRTs that are valid for a term of years (as opposed to the noncharitable beneficiary’s lifetime) are capped at twenty years. If you create a CRT when you’re older, a “term-of-years” CRT is likely to provide income for the remainder of your life. If you create a CRT in your fifties, however, you should select a “lifetime” CRT or be prepared to fund your later years from a different source. Distributions from the trust may still be taxed when they’re withdrawn just like distributions from a traditional IRA. Distributions of earnings are taxed either as ordinary income or as capital gains, depending on what type of investment is held in the CRT. However, income from tax-exempt bonds, such as municipal bonds, can be taken tax free, as can distributions of account principal. At least 10% of the value of the original asset must pass to the chosen charity for the CRT to be valid. If you drain the account completely, you can be liable for unpaid taxes. The younger you are when you create a lifetime CRT, the greater the donated asset should be to ensure there is enough of a remainder to satisfy the IRS’s requirements. While a CRT can be incredibly useful, you are still donating a major asset to charity instead of passing it on to your heirs. To remedy this, many people use some of the income from the trust to buy life insurance policies within a separate trust (called an “Irrevocable Life Insurance Trust” or ILIT) with their heirs as beneficiaries. Instead of passing a property worth $1 million to their children, for example, parents could deposit the real estate into a CRT and then use some of the annual income to pay the premiums on a $1 million life insurance policy. When they die, their heirs still receive the $1 million inheritance, but the parents are able to live off the income of the trust and benefit from a significant tax deduction in the meantime. 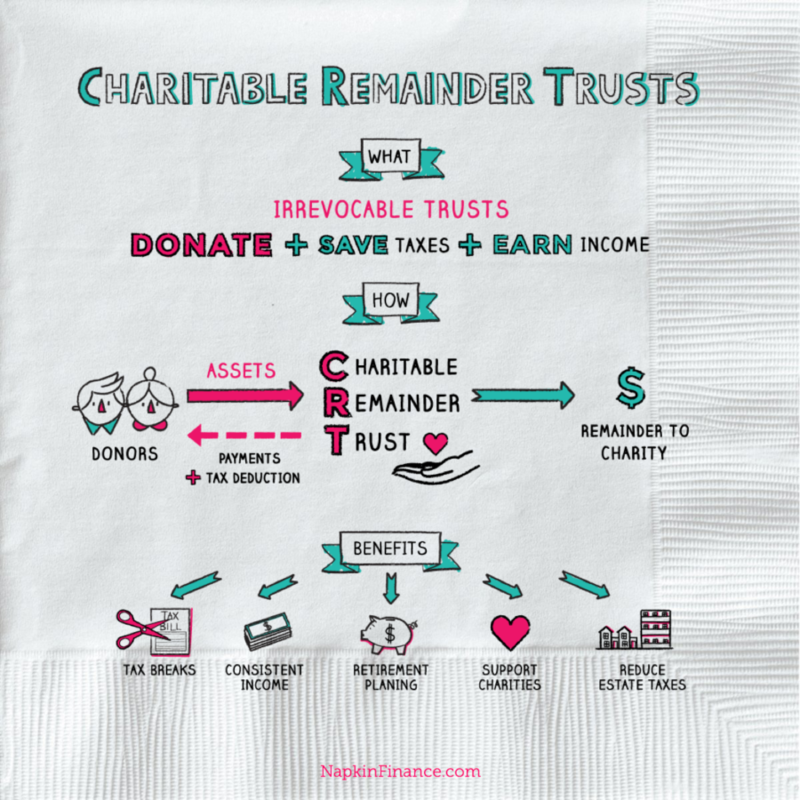 A charitable remainder trust is a way to minimize taxes, provide consistent income over time, and benefit a charity. The trust produces income for the noncharitable beneficiary for a set period of time, and then the remaining trust assets go to the chosen charity. There are two main types of CRTs—CRAT and CRUT—that provide different benefits and drawbacks. Many rules and regulations are involved, and you can void a CRT if you withdraw too much, so you need a fiduciary or financial advisor to be sure you adhere to all conditions.